“Ee Prapancha” turns one year old today. The first post on this blog was published on June 22, 2006.In the one year passed, there had been posts on topics related to Cricket, Bollywood, Kannada, Karnataka, Mangalore, Bangalore etc. A total of 36 posts have been published so far. There had been some time when there was not much activity in this blog. But the blog is in full swing yet again with new posts. In the coming days hope to provide you with more posts in the above topics and other new topics as well. Almost a year ago "Ee Prapancha" was started on June 22, 2006. Today it is going illustrated. This post brings you the Mangalore city photos, first post on Mangalore in this blogs dates back to June 26,2006. New post after a long long time. Hope you like it !!! This is very contentious issue to answer. The question here is when a song be it a film song or other becomes a hit, whether it is because of its music or its lyrics? There are songs written exclusively for the music(most of the times when tune is from any other language hit film song). So here lyrics is compromised at the cost of music or tune. But most of the times those songs are going to become hits. One of the classical examples is tamil film Kadhalan being remade in Hindi as Hum Se Hai Muqabla. There lyrics were not upto the mark set by yesteryear hindi lyricists. Latest addition to this is Jane Do Na song from Amitabh Bachchan starrer Cheeni Kum whose tune is similar to Jothe Jotheyali song from Shankar Nag starrer kannada film Geetha (music by Ilayaraja in both cases). Nowadays well written lyrics is hard to find in film songs. But there are exceptions. Songs from kannada film Mungaaru Male are unique blend of good lyrics and equally good music. 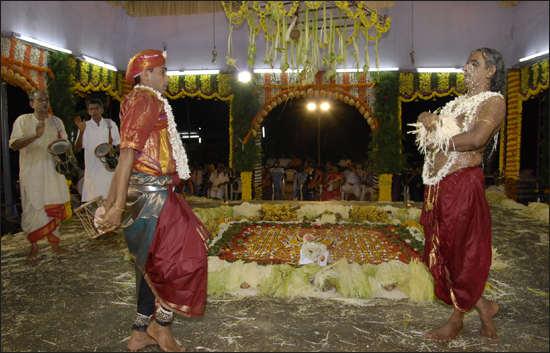 Anisuthide Yaako Indu has almost become the State Anthem of Karnataka with its huge popularity across the state. But most of the times I feel a song becomes a instant hit because of its music. But wait, these songs which tend to become instant hits purely because of its music usually tends to have a short life span. People tend to forget these songs once a new song with better music takes over. This is mostly the case with songs with loud music. But not with the songs with good lyrics and of course light music. That is the reason I feel old songs still enjoy the popularity as before with their excellent lyrics. Can you ever forget songs from Hindi films like Dil, Saajan, Sholey, Aaraadhana or Kannada films like Kasthuri Nivaasa, Nyaayave Devaru, Gandhada Gudi, Amruthavarshini?